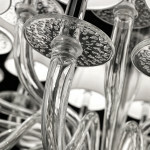 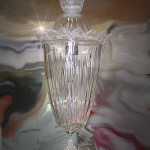 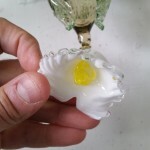 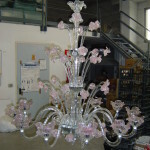 Glass is a versatile material; it can be transformed into endless shapes (with patience and skill). 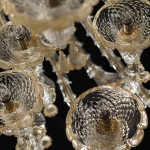 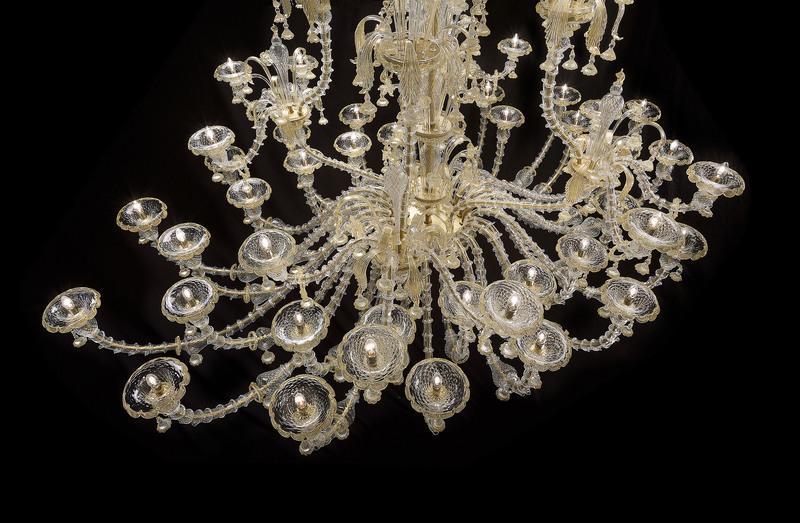 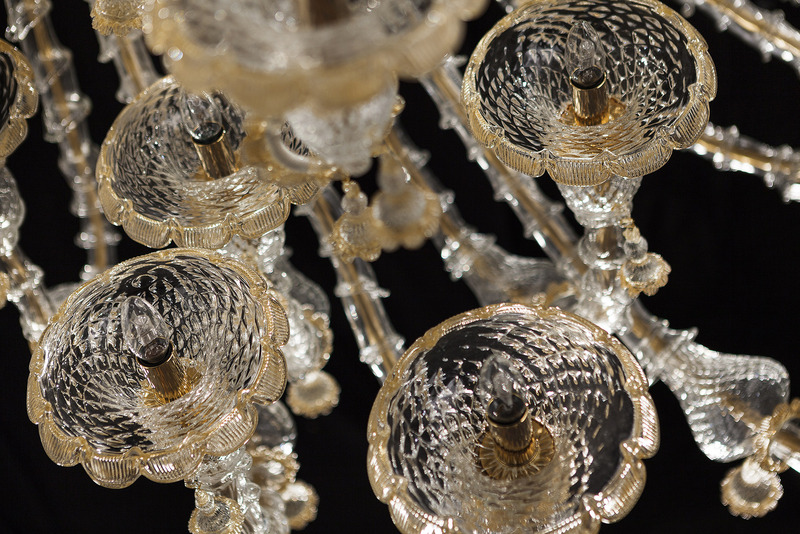 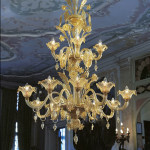 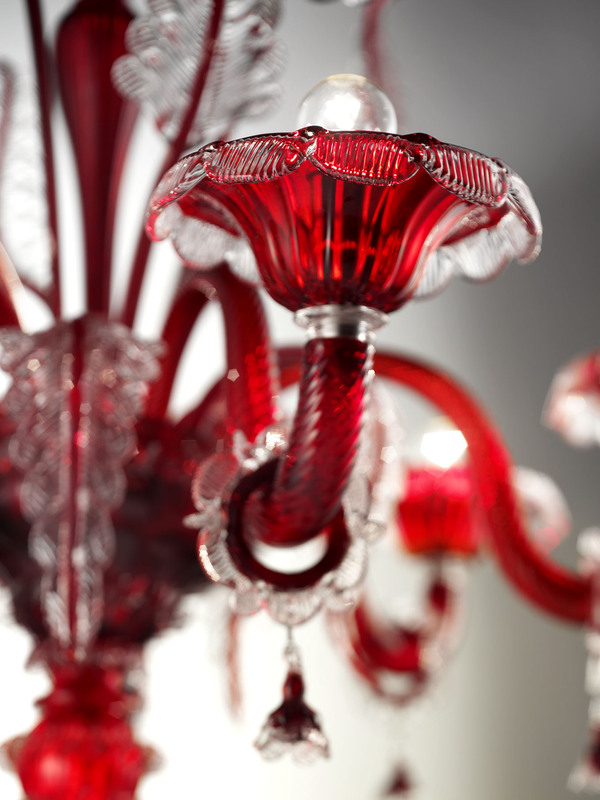 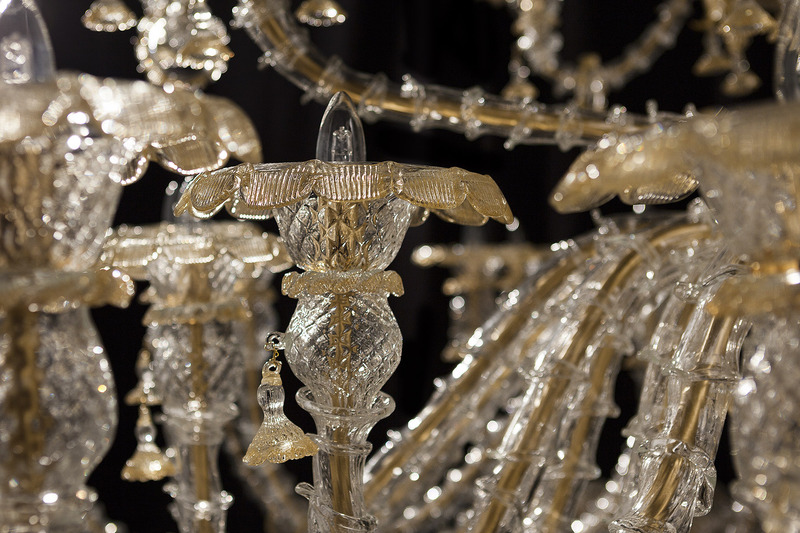 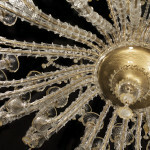 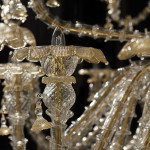 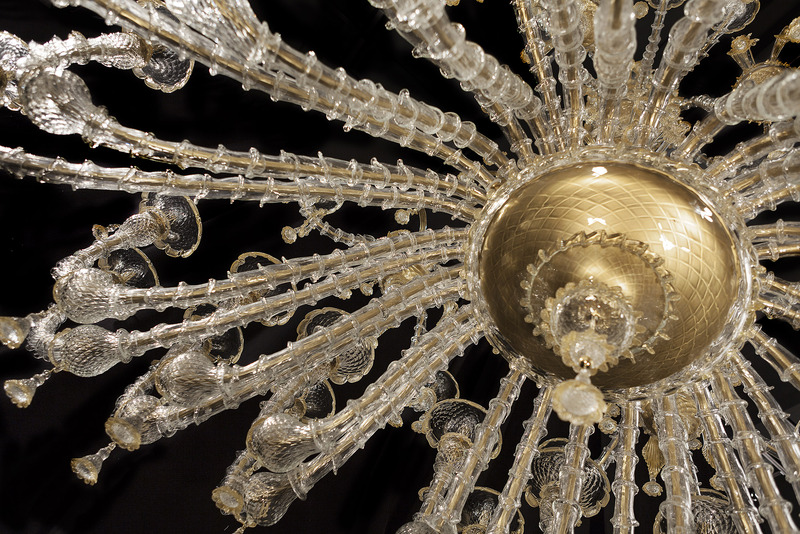 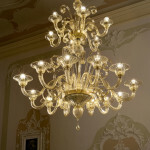 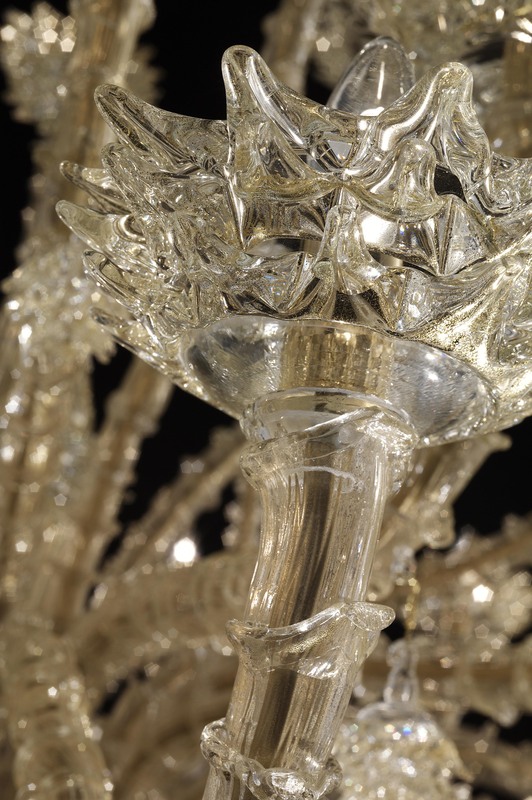 Following the long tradition of blown Murano glass, masters learned to shape the molten glass into an infinite variety of pleasing forms, creating the chandeliers that lit the grand palazzi for the past centuries. 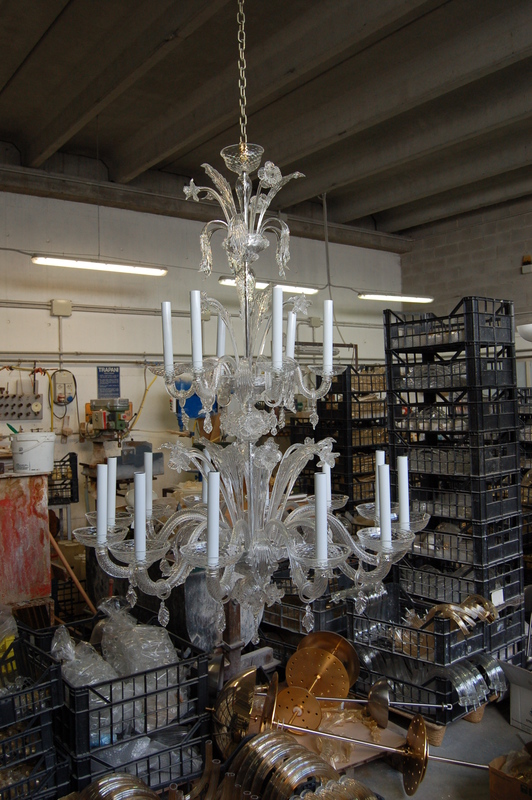 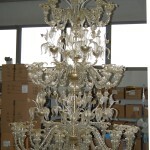 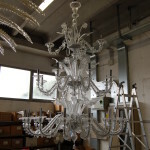 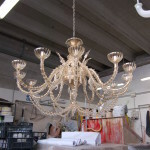 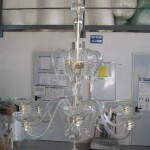 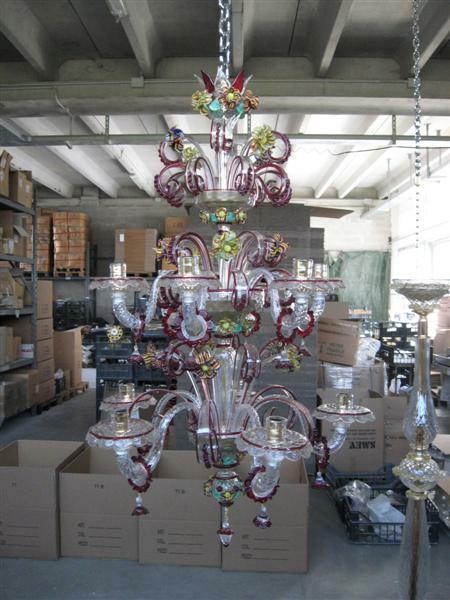 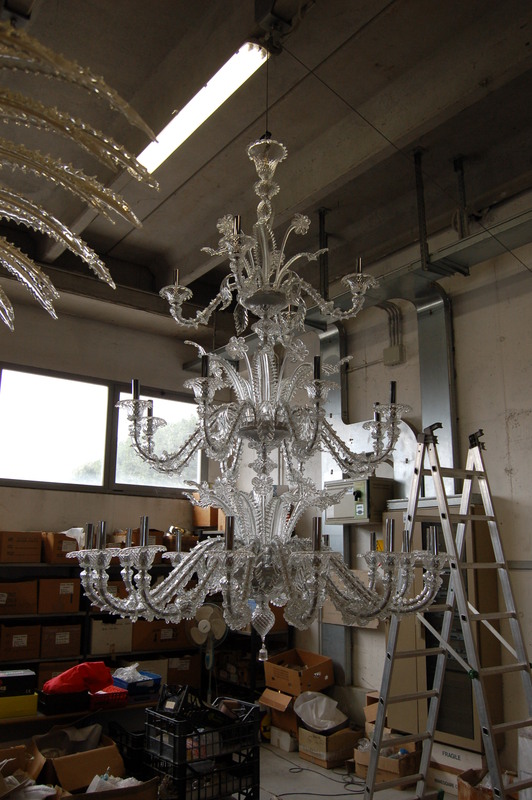 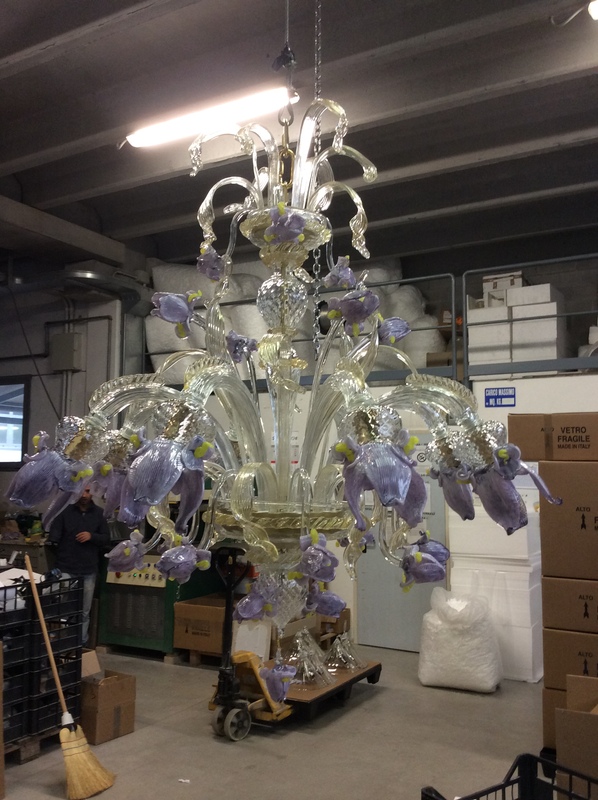 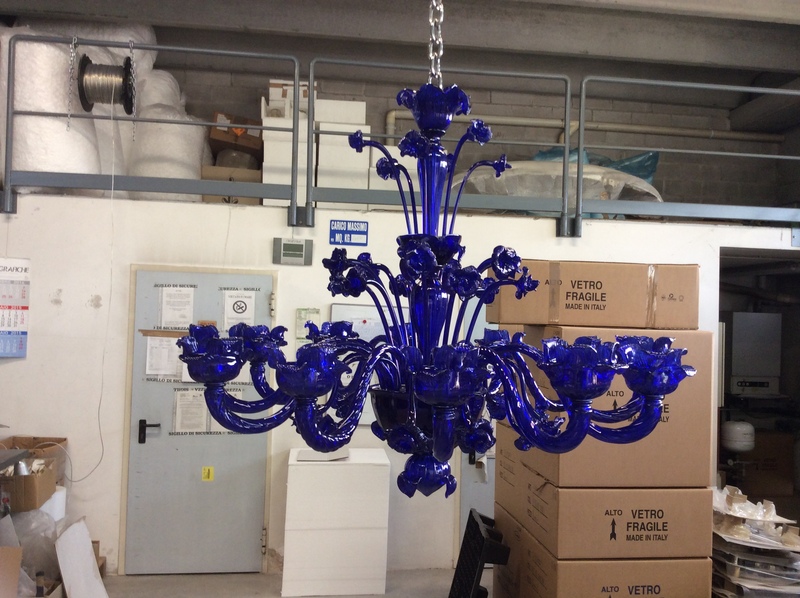 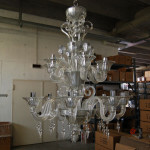 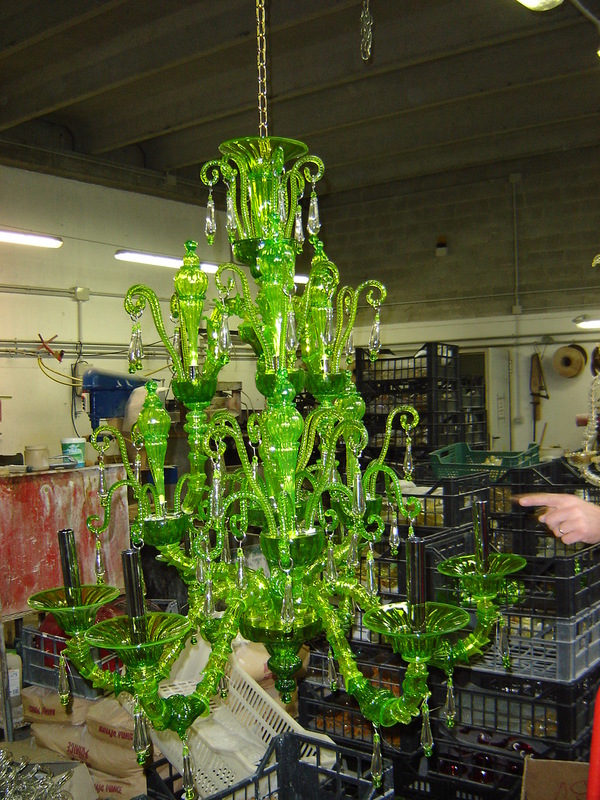 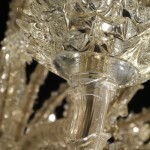 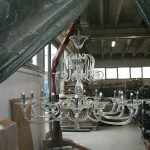 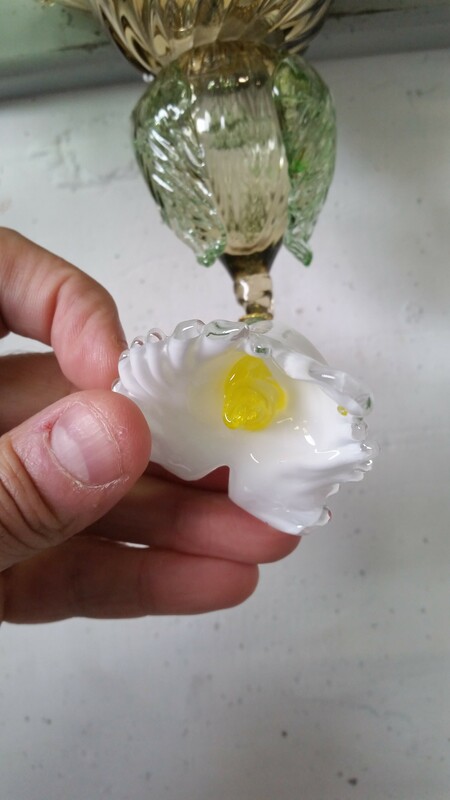 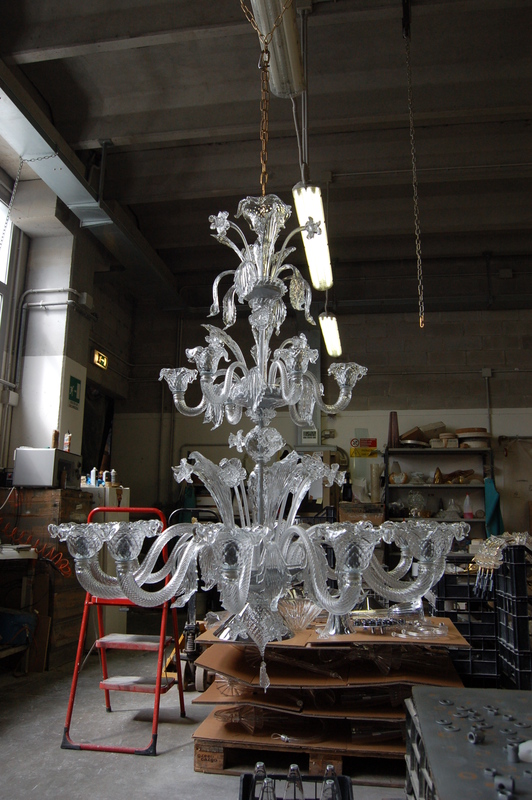 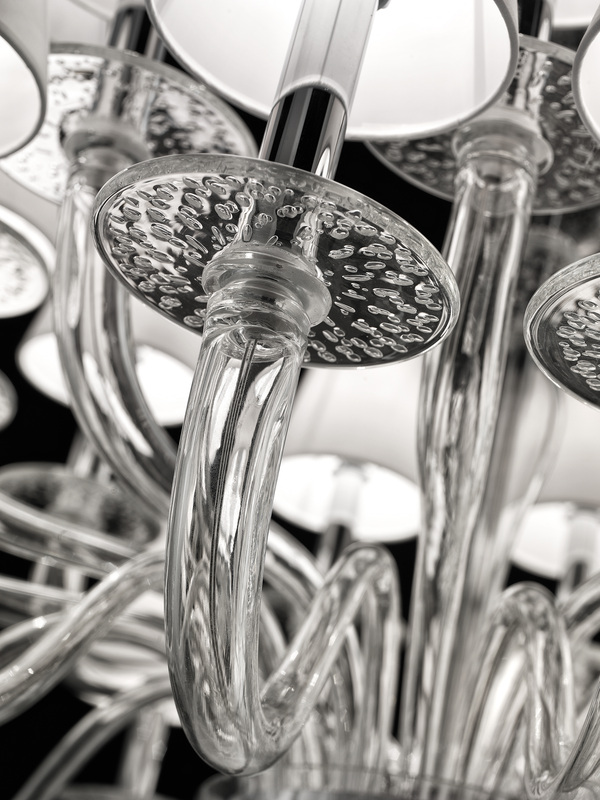 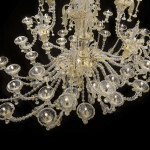 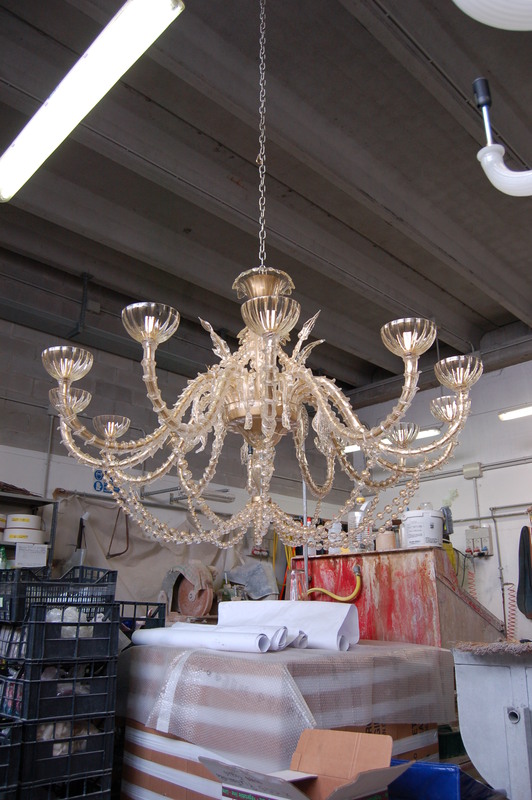 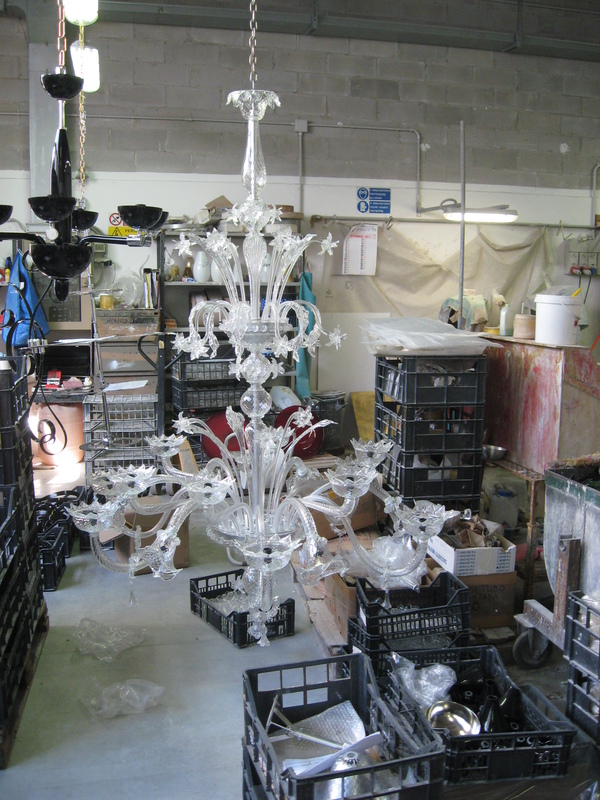 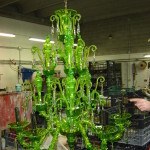 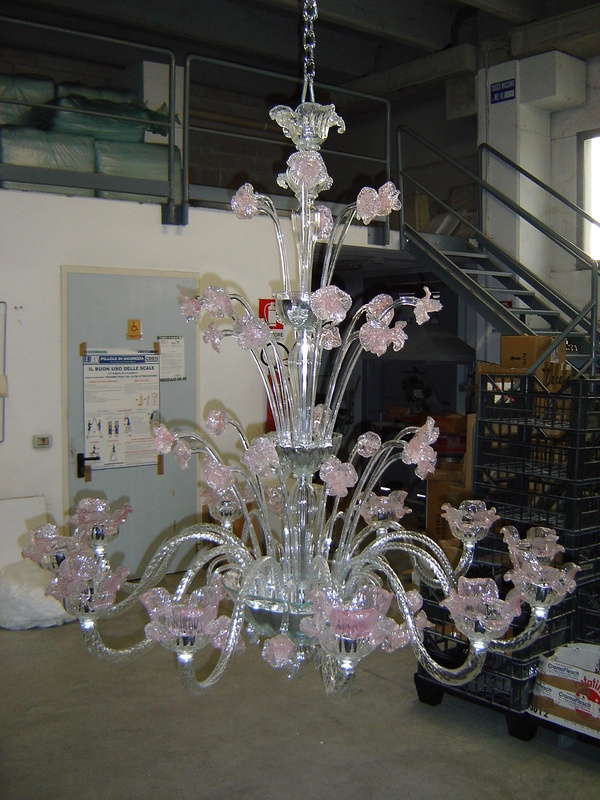 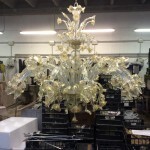 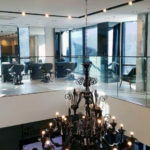 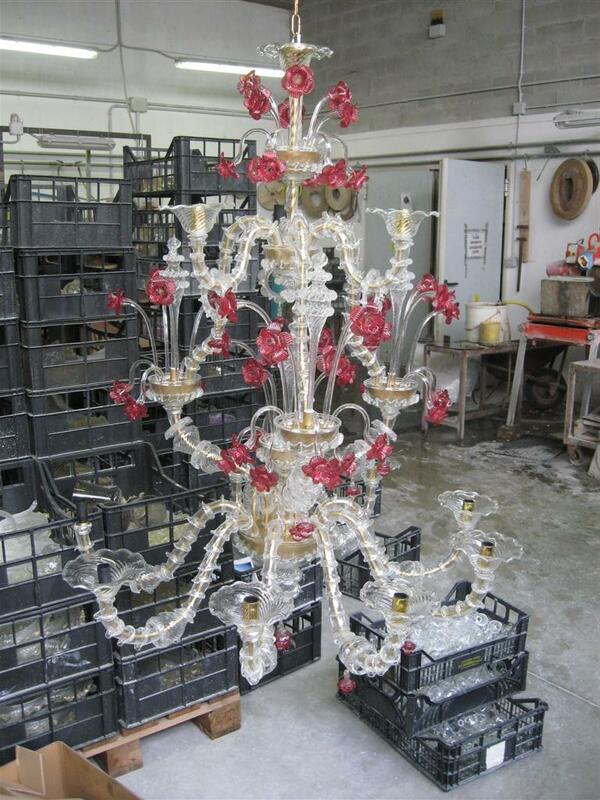 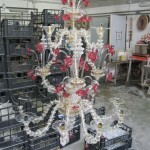 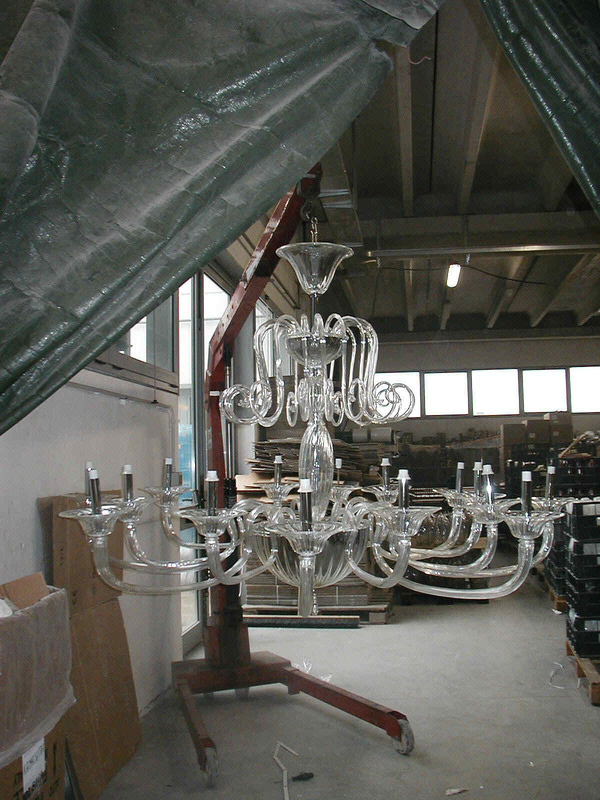 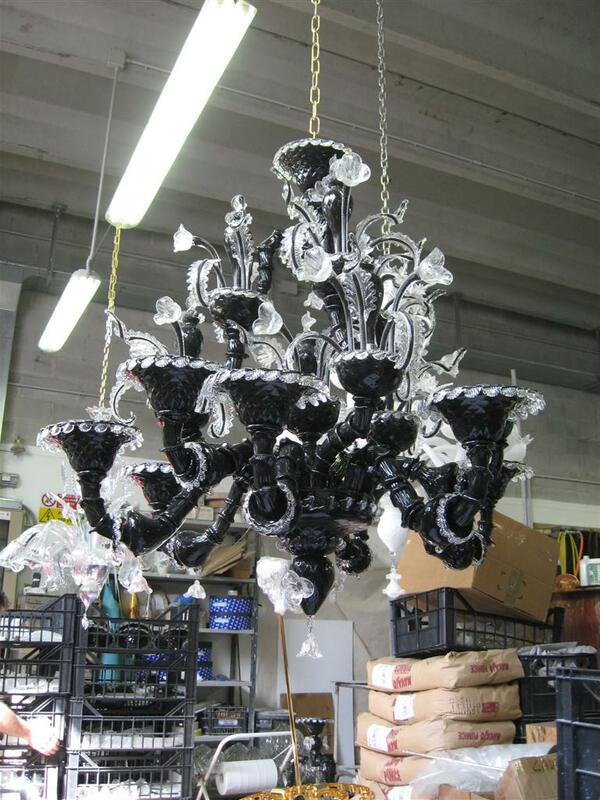 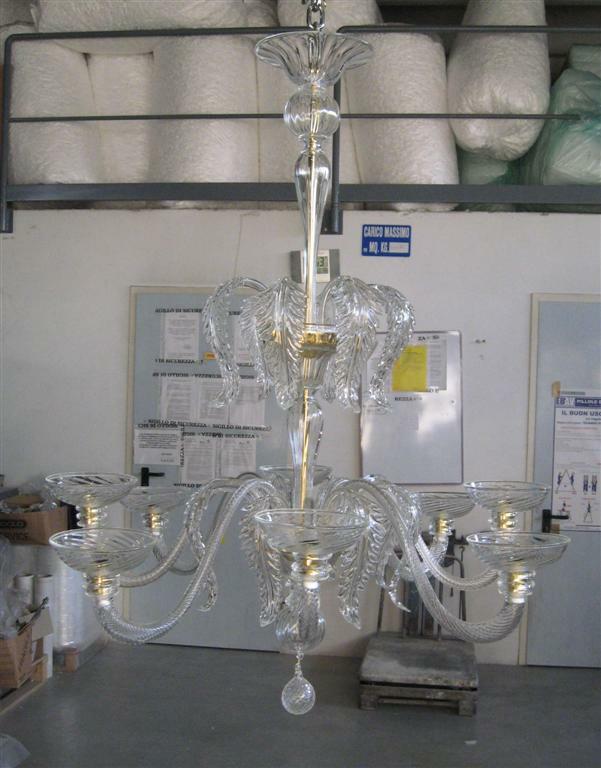 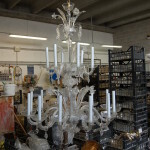 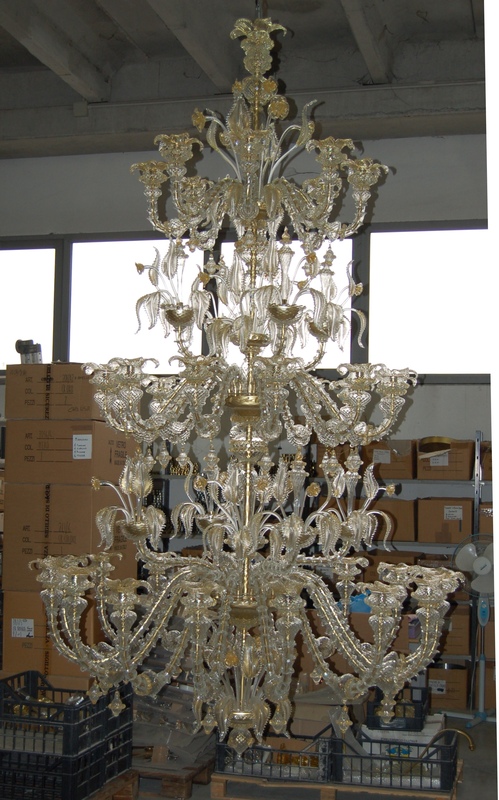 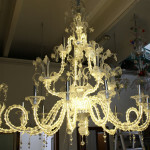 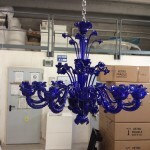 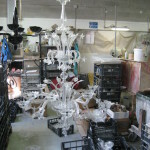 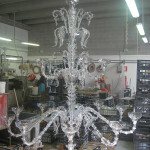 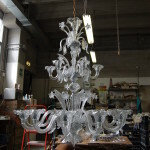 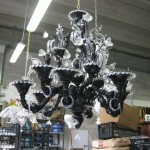 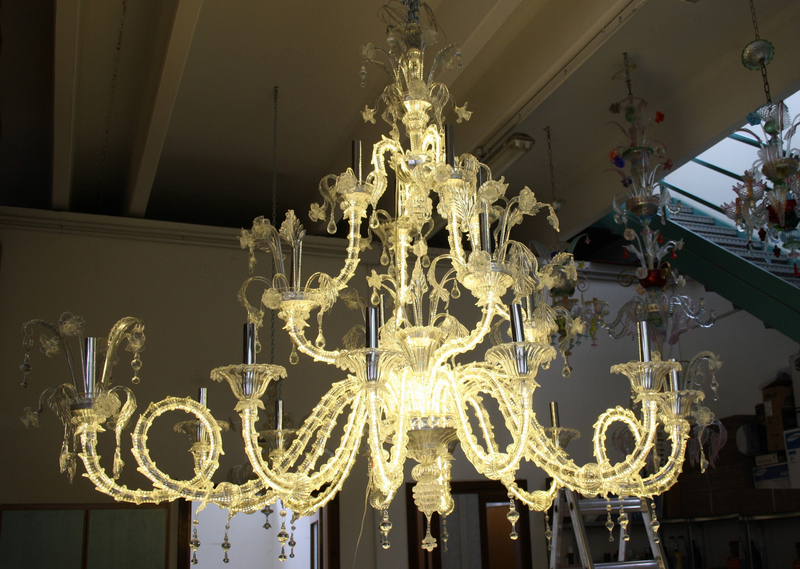 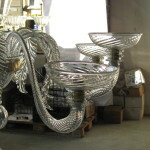 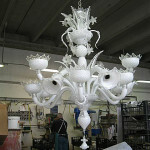 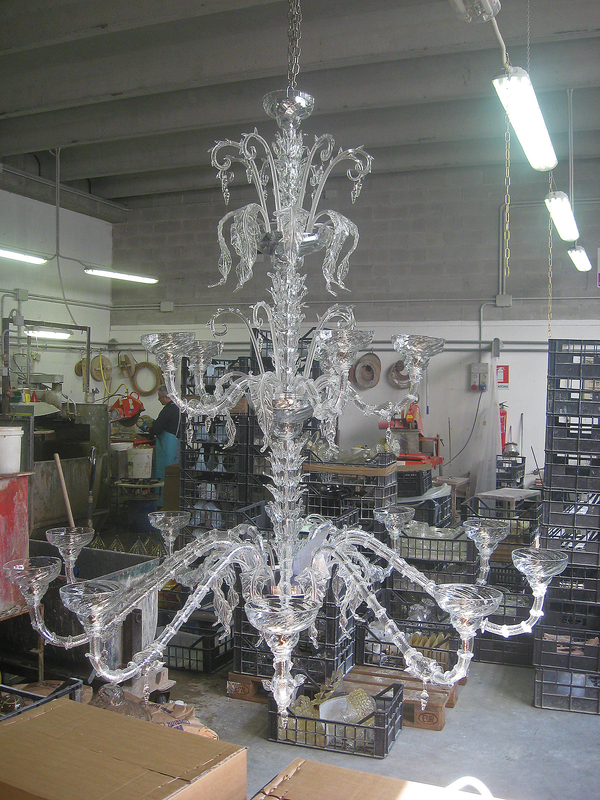 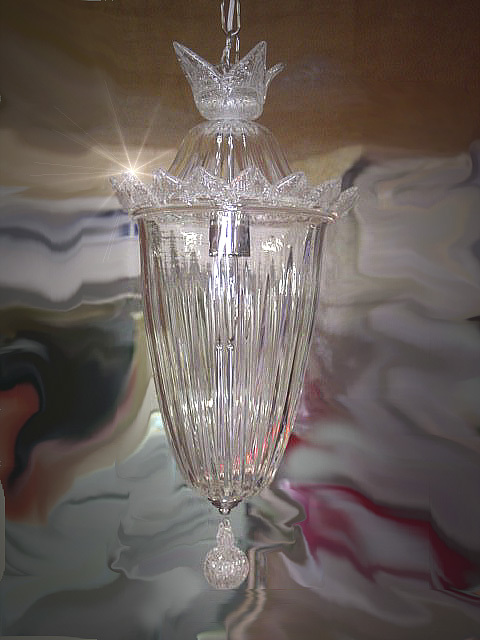 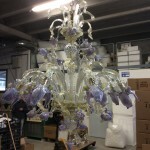 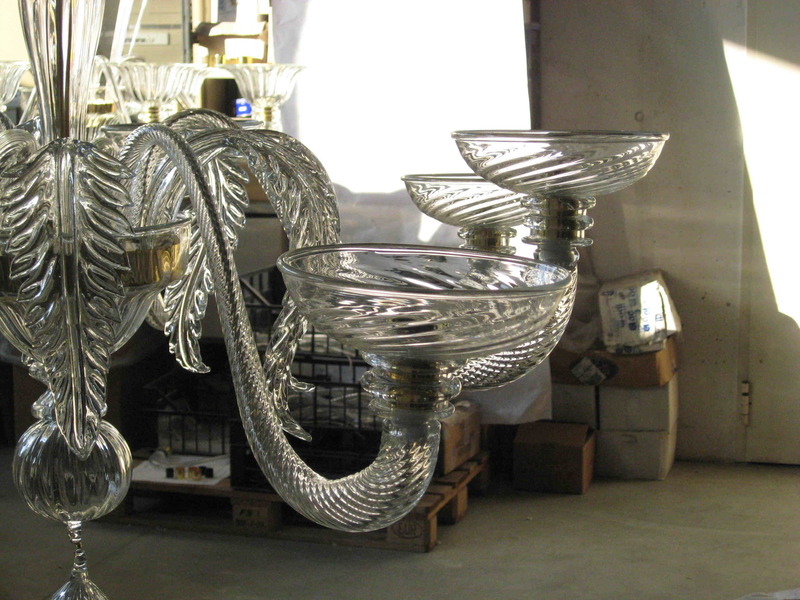 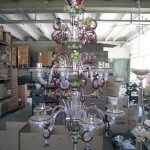 Today, Glass and Glass Murano continues this tradition, offering its clients artisanal glass chandeliers in a classical style modified to suite modern tastes, whether its a standard piece or custom-made design. 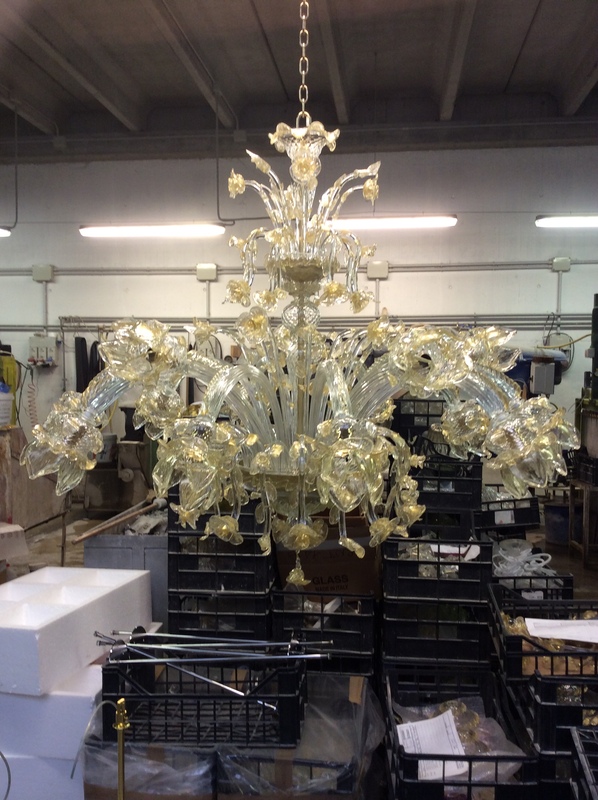 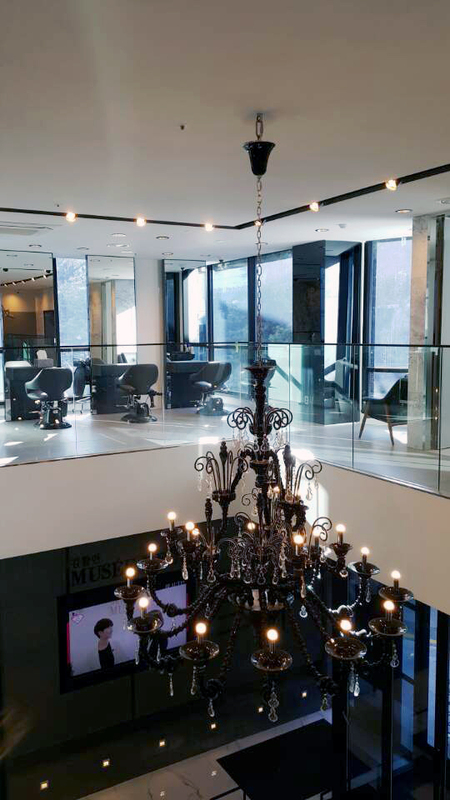 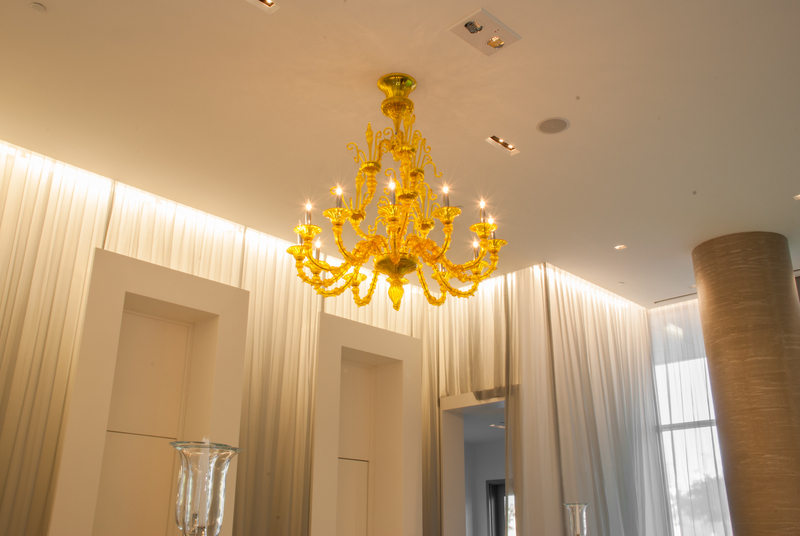 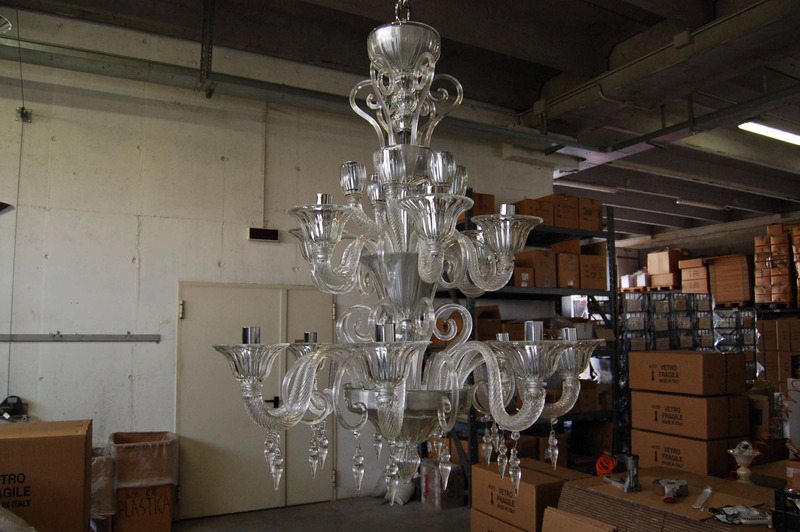 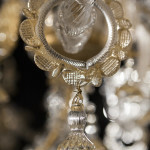 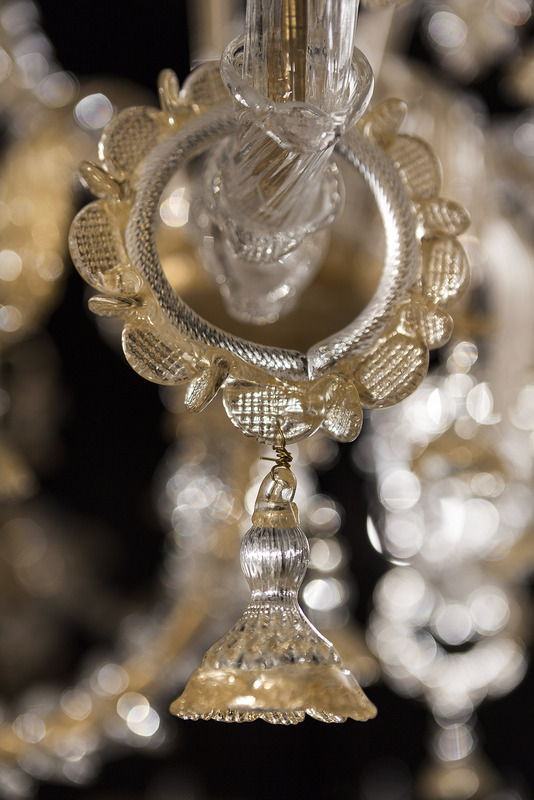 We are especially proud of our custom-made chandeliers as we think they represent the best of who we are and what we can do: designing and constructing beautiful and functional objects that fit perfectly the needs of our clients. 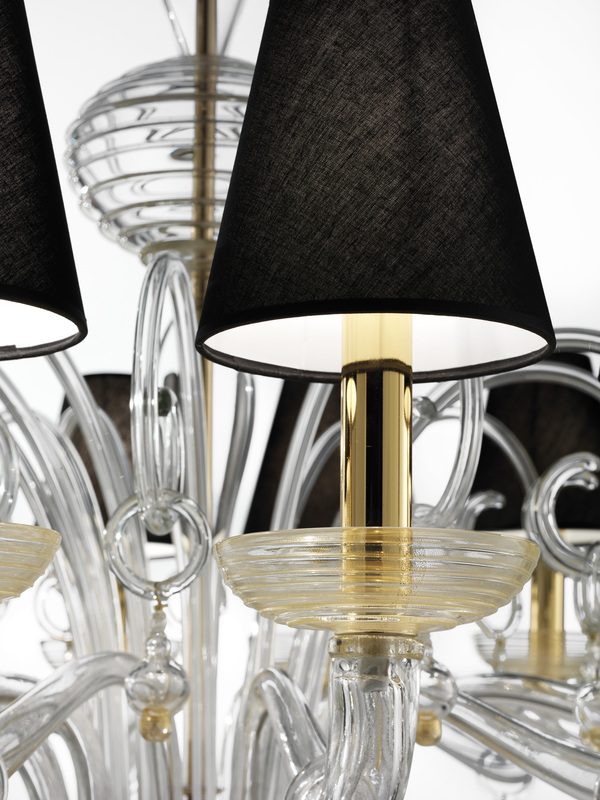 Following tradition, each piece is studied and designed to the smallest detail by our design experts. 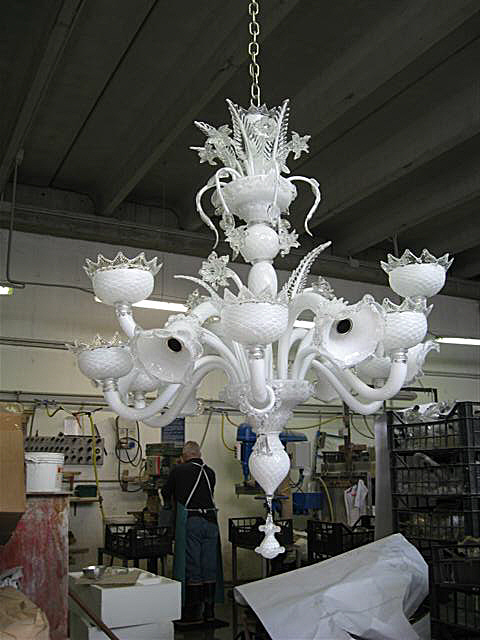 The production of each component is also artisanal, as our artists use time-honored techniques to enrich and embellish the raw materials. 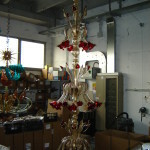 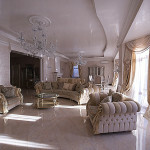 They are refined products that customers from every part of the world have always requested. 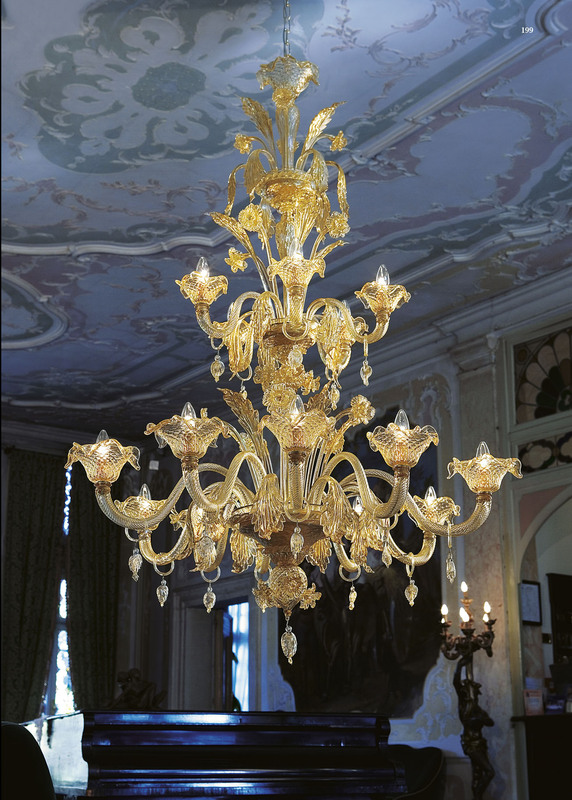 Even if their history is local, their appeal is international: they are elegant and of exquisite craftsmanship, complementing and enriching refined spaces, no matter the type of interior design. 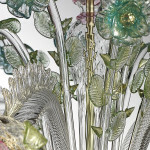 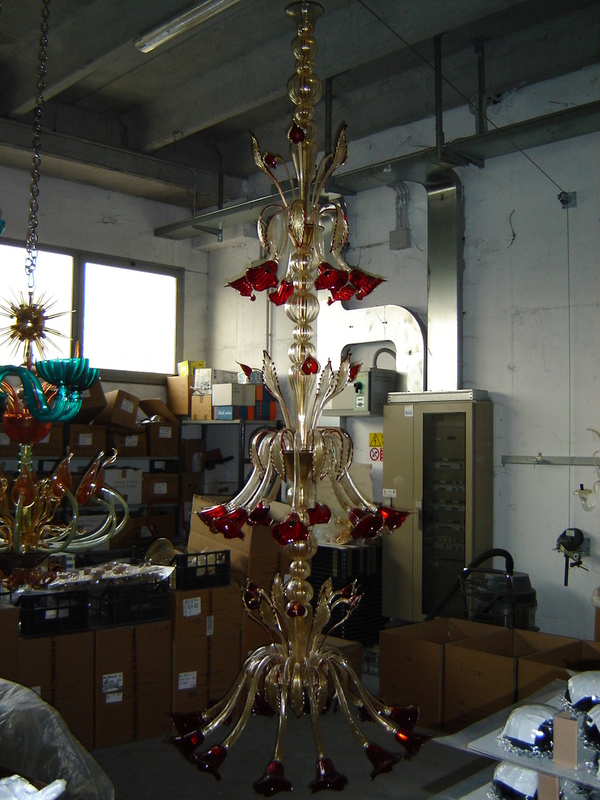 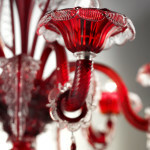 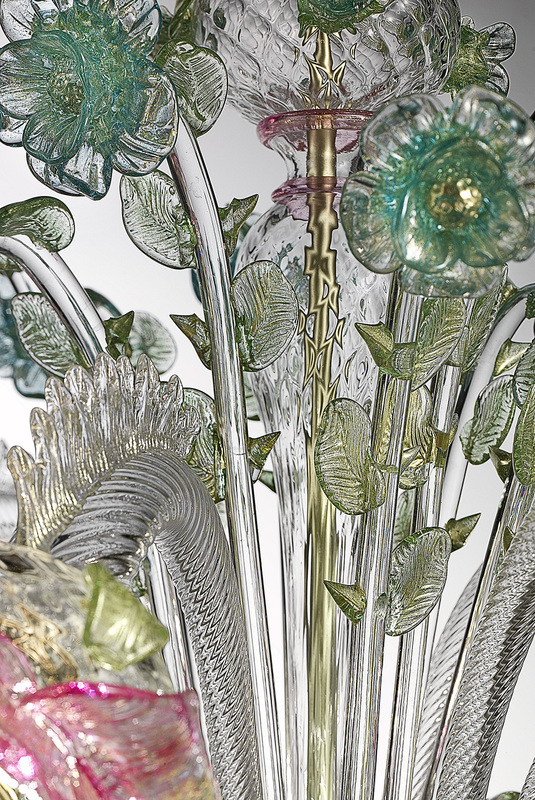 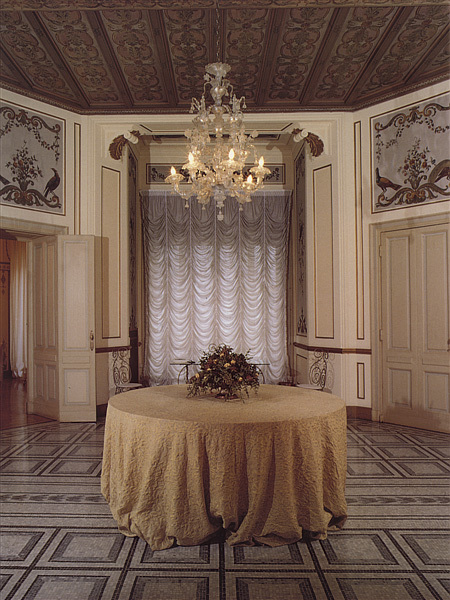 Both of our product lines recall the distinctive elements of traditional Murano glass, characterized by long curved arms and the use of pendants and flowers as decorative elements. 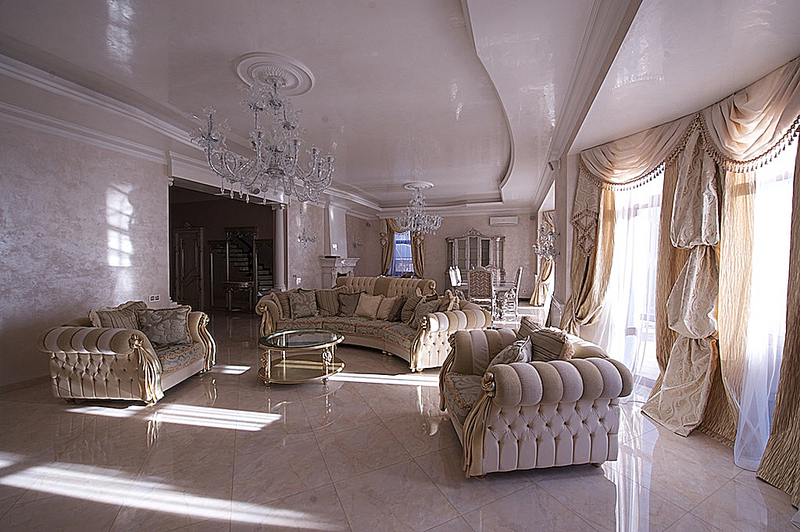 Their style is rich and elegant. 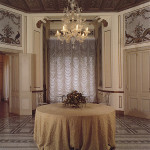 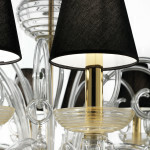 To give a touch of innovation to tradition, the contemporary line re-elaborates in a modern style, classic Venetian pieces. 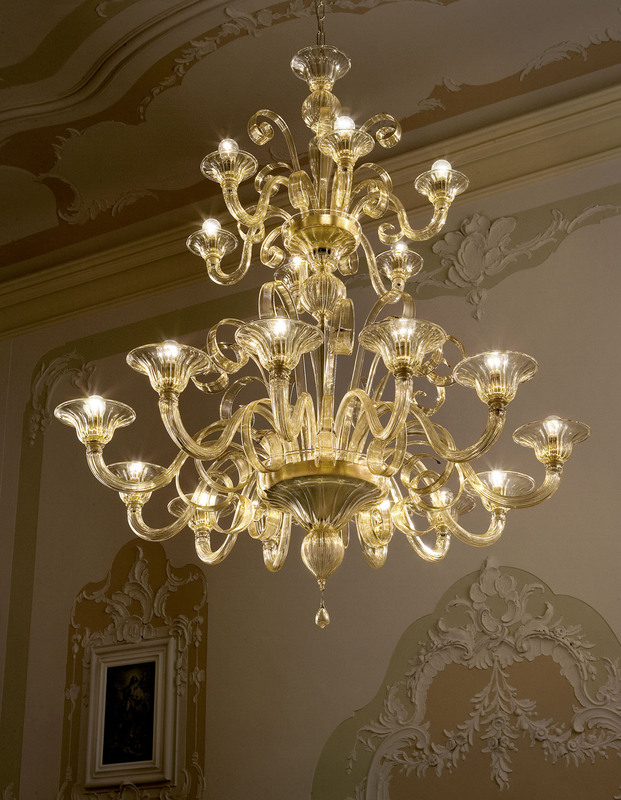 The two series offer a full range of products for illumination: traditional chandeliers, sconces, applique, and modern chandeliers, all customizable in size, finish and design.